HealthSpan is the insurance arm of Cincinnati-based Mercy Health. HealthSpan, the insurance arm of Catholic health system Mercy Health, is getting rid of its medical group and halting sales of Affordable Care Act policies just two years after acquiring Kaiser Permanente's Ohio subsidiary. The move represents a failure of one health system trying to replicate the much-heralded Kaiser model of healthcare, which integrates the payment and delivery sides. HealthSpan has been severely hurting the finances of Mercy Health, and executives felt they had to address “the operational challenges,” according to recent financial documents. HealthSpan's decision to ditch ACA policies also represents another dig at the law's nascent insurance markets, which have been more unstable than originally expected. Insurers have been re-evaluating whether they should wait out the turbulent, early years of the exchanges. 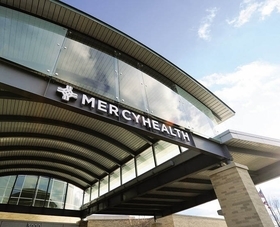 Mercy Health, a 23-hospital system formerly known as Catholic Health Partners, bought Kaiser's Ohio business in 2013 and made it the centerpiece of its new independent contractual partner, HealthSpan. HealthSpan kept that model intact by selling health insurance—employer plans, Medicare Advantage and individual and small group plans—and providing care. More than 200 physicians are part of HealthSpan's medical group. But HealthSpan lost $116 million in the first nine months of 2015, according to Mercy Health financial documents (PDF). That compared with a $30 million operating loss in the same time frame last year. HealthSpan lost thousands of members after switching from the Kaiser brand, which led to a dwindled risk pool, and it also experienced more medical claims than expected. Consequently, HealthSpan said last week it is shedding the unprofitable parts of the business to get back on track. Its medical group will be dissolved by April 1, 2016, and the insurance company will no longer be involved with the direct delivery of care. The company expects many physicians will move to other area systems, including its parent, Mercy, Summa Health or MetroHealth System. “Best-case scenario, the only change people see is the signage in front of the building,” HealthSpan spokesman Chuck Heald said. However, patients potentially could lose their doctors and care network. Further, HealthSpan will stop selling individual and small-group health plans on the ACA's exchanges to focus more on Medicare and employer plans, Heald said. HealthSpan jacked up premium rates for 2016 individual and small-group plans anywhere from 9% to 32% to account for the sicker-than-expected exchange population. HealthSpan also had to pay more than $17 million into the ACA's risk-adjustment program in 2014, which did not fit into its original forecast, and the insurer has estimated another $19 million in risk-adjustment payments to the government for 2015. “We realize that we are not going to be financially sustainable in the individual and small-group areas,” Heald said. HealthSpan covered 166,600 people as of Sept. 30. The membership is roughly split between people in self-insured and fully insured plans. Mercy Health posted a $10.5 million operating loss on $3.5 billion of revenue in the first nine months of 2015, again due to the poor performance of HealthSpan, the financial documents show. That compared with a $93.2 million operating surplus on $3.3 billion of revenue in the first nine months of last year.